When you're looking for a sonic facial cleansing brush - also called sonic system purifying cleansing brush - you want a quality product, right? Well, that is exactly my goal, to research the various products and get you sufficient information about these devices. I came up - below here - with popular devices that are well rated and have best price indication. Look further down if you also want to read about the sonic technology that makes it so suitable for skin cleansing. Images below may lead to webpages for more information, or to Amazon where you can read through the reviews which is quite informative. This skin cleanser features just one button and one mode to does its job. With a gentle touch it removes the impurities from your face. With a sonic foundation brush, you can apply foundation. The LUNA skin cleansing system channels T-Sonic pulsations for exfoliation gentle enough for everyday use while incorporating anti-aging technology into its groundbreaking design. It gently exfoliates dead skin cells and unclogs pores of makeup residue as well as 99.5% of dirt and oil, enhancing the absorption of your other skincare products. In Anti-Aging mode, the facial brush channels lower-frequency pulsations that, when applied to wrinkle-prone areas, reduce the visibility of fine lines and wrinkles to reveal skin that looks firmer. For this great-rated FOREO LUNA Sonic Facial Brush and Anti-Aging System, see Amazon Here for best pricing, info and reviews. The MIA 2 has 2 speeds compared to The MIA 1 which has 1 speed. With the second speed you can cleanse more intensely. Some use the gently cleanse - number 1 - in the morning and the high speed - number 2 - in the evening. The MIA 2 comes with sensitive brush head, trial size cleanser 1 oz., protective travel case, pLink international charger. The device is available in the colors Sea Breeze, Pink, Lavender or White. For this well-rated Clarisonic Mia 2 Cleansing System, see Amazon Here for best pricing, info and reviews. Information on brush heads for this Clarisonic Mia 2 and other devices, see next. You can choose a brush head which specifically fits your skin type and type of cleansing needs, such as Deep pore Cleanse, Acne Cleanse, Radiance, Sensitive, Cashmere Hydrating, Revitalizing. For the great-rated Clarisonic Replacement Brushes see Amazon Here for the Deep Pore Cleansiing Brush Head. This brush cleanse clogged, enlarges and reduces the appearance of pores. Your skin may get smoother. Here for the Acne Cleansing Brush Head Glides to massage skin of impurities. Here for the Sonic Radiance Cleansing Brush Head It gently cleanses away dullness to reveal radiant skin. Here for the Sensitive Cleansing Brush Head Effective yet gentle daily cleansing. Here for the Cashmere Cleansing Brush Head Minimizes the appearance of fine dry lines. Here for the Men's Daily Cleansing Brush Head Cleanses away sweat, dirt and oil. Just recently the Clarisonic company launched 3 new limited-edition brush head value sets targeted to meet a variety of specific skincare needs. One of those new sets is the Essentials Brush Head Set containing the popular brush heads Deep Pore Cleansing Brush Head, Acne Cleansing Brush Head, Sonic Radiance Cleansing Brush Head and Sensitive Cleansing Brush Head. These are the same ones as mentioned earlier. For these Clarisonic Essentials Brush Head Sets, see Amazon Here for best pricing and info. There were some wrong shipments, but I hope Amazon and Clarisonic have solved that by now. 2-Speed PureRadiance Philips Skin Cleansing System SC5274/10. Philips claims with their cordless device: Gentle deep cleansing for healthy looking skin and 10 times more effective at removing make-up than manual cleansing. You can use the device - 2 speed settings - up to 30 times without charging and can even be user under the shower. It comes with a normal skin brush head, an exfoliation brush head, manual, 100 - 240 Volt adapter and the charging- and drying stand. For this well-rated Multi-speed RureRadiance Skin Cleansing System from Philips, see Amazon Here for best pricing, info and reviews. This CLINIQUE face brush has been designed to also clean the hard-to-reach facial areas such as the T-zone. This cleanser tool, developed by dermatologists can be used for all skin types, and is waterproof. It comes with 2 bristles for customized cleansing, says the manufacturer. For this fair-rated Clinique facial brush system, see Amazon Here for best pricing, info and reviews. Lemon Sonic Skin Cleansing System. This Xnovi sonic skin cleansing system helps reducing oily areas, blemishes, dry patches. The system comes with two brushes, and features induction charging (international). For this good-rated Lemon Sonic Skin Cleansing System, see Amazon Here for best pricing, info and reviews. Another facial cleansing brush system, now from Conair. Comes with two facial brush heads, two body brush heads, charging cord and cradle, carrying pouch and instruction book. For this fair-rated Conair True Glow Sonic Facial Skincare System, see Amazon Here for best pricing, info and reviews. 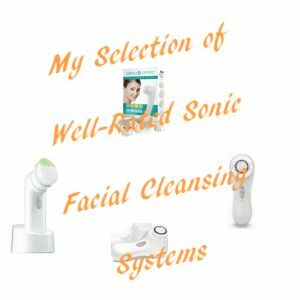 Sonic Technology for Skin Cleansing. Even though many cleansing products for skin care are commercially available, the cleansing of the skin is dependent upon the user's diligence, compliance, and technique, which often results in inconsistent cleansing. When the skin is inadequately or excessively cleansed, the skin becomes compromised, sometimes leading to acute or chronic conditions that may require medical attention. A sonic skincare brush was developed to enhance and provide consistent cleaning of the skin while preventing the skin from becoming compromised. 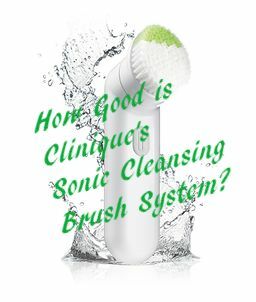 Utilizing a technology previously used to cleanse the oral cavity, the sonic skincare brush is optimized to work with the skin's own elasticity providing rapid oscillatory flexing of the infundibular opening. By oscillating at sonic speed the net result is the inelastic comedones become loosened and detached from the infundibular wall and are then cleared from the acroinfundibulum. Although additional clinical research into the various applications of sonic skin care technology is needed, utilization of sonic technology is now available for effectively and consistently cleansing the skin. Robert E Akridge; Kenneth A Pilcher. LED Light Therapy and Sheet Masks. Info Microdermabrasion Machines for Professional and Home use. Microcurrent and RF Radio Frequency Skin Treatment.